One Payment- Full Access for LIFE!! A Complete Bujinkan Study/Reference Library at your fingertips. 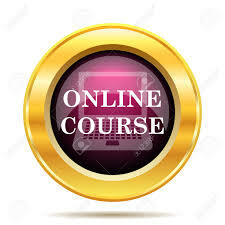 FULL ACCESS to All 7 Courses from Day One - Take Charge of your Training!! Look for a registration e-mail from the Ninja Dojo Portal after sign up. is in this ONLINE Portal!! Study from Beginner to Master level whenever you want and in whatever order you want. No one offers this much Bujinkan Study Material to the general public. Much much more than some video clips like other programs. A Complete Bujinkan Reference Library at your fingertips. Shodan (1st Degree), Shidoshi Teacher Training, Nidan, Sandan, Yondan, Budo Taijutsu, Ninja Weapons Courses including 55 DVDs, 14 CDs, 8 large step by step How-to Manuals, 5 books, over 2,500 study pages, community learning, Ninja Vault and many cool Personal Training Bonuses. 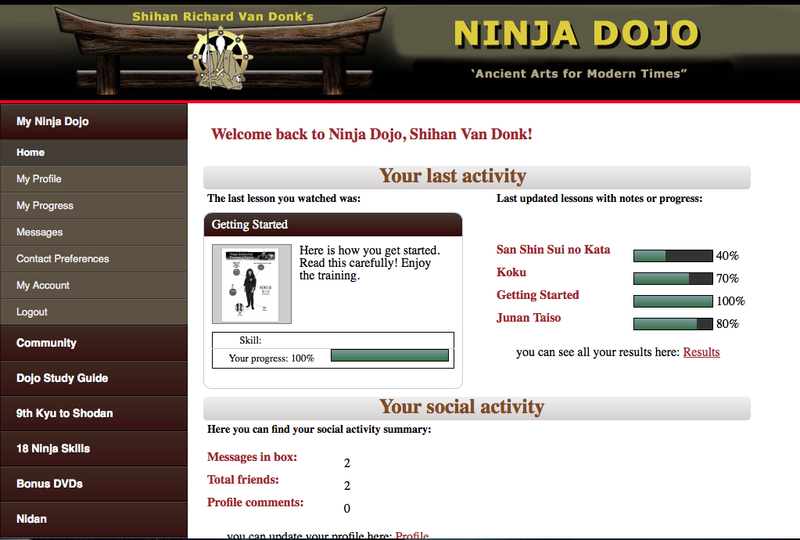 The Ninja Dojo Online is Bushindo University's latest inovation. Our Ninjutsu BlackBelt Home Study Courses, created in 1990, have been available on the web since 1996 and our online training since 2005. Now we haver taken our entire $2,750 TEN YEAR Ninjutsu Masters Course, added 3 times more to it and put in the online Ninja Dojo for one low lifetime access price! SEVEN COMPLETE COURSES! Shodan (1st Degree), Teacher Training, Nidan, Sandan, Yondan, Budo Taijutsu, Ninja Weapons Courses including 55 DVDs, 14 CDs, 8 large step by step How-to Manuals, 5 books, over 2,500 study pages, community learning, Ninja Vault and many cool Personal Training Bonuses. PLUS built in Instructor Teacher's Training Certification! (Note: You must pass a test) The Ninja Dojo is growing everyday! Strategic learning just like you would do in a good dojo. Many extra dvd and Tai Kai footage being added often @??? 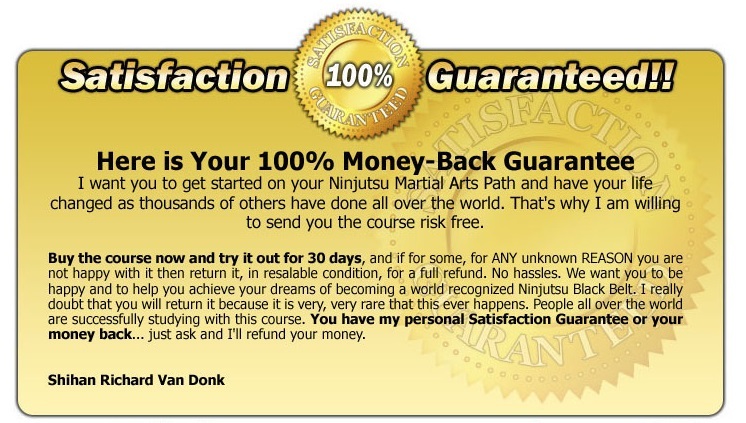 If you are not ready for the ONE TIME for LIFE Payment for ALL IN ACCESS then start with the NINJA DOJO ONLINE SHODAN Program - AS LOW AS $15 MONTH-- this is a time delivered method of study with more and more studies every month. We have done our best to serve any budget.